Liverpool’s world-famous Cavern Club has been described as the “Cradle of British Pop Music, the place where the Beatles musical identity was formed. The club has played a pivotal role in each and every period of popular music since it first opened its doors as a jazz venue in 1957. Undoubtedly, without the 292 gigs The Beatles played here between February 1961 and August 1963, the Cavern’s story would be a very different one. But they did play those 292 gigs and the Cavern was firmly on the world’s musical map. This is the story of a Club whose fortunes have ebbed and flowed in tandem with that of the city of Liverpool itself, a Club that has embraced an ever – changing music scene, the highs and lows, the dramas, the battles, the heartache, but above all… the music. The number of top-drawer artists to tread its fabled stage reads like a roll call of popular music. Impressively, after seven eventful decades, it survives and continues to thrive as a relevant, contemporary live music venue as well as a major tourist destination, a place of pilgrimage for Beatle fans and music fans alike. 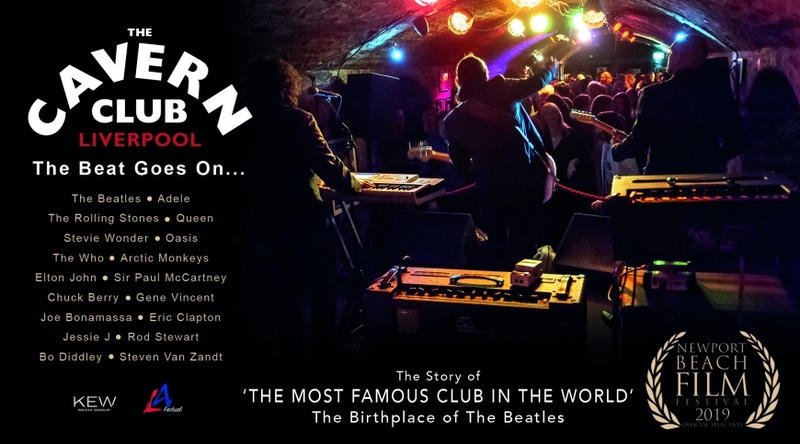 The Cavern Club – The Beat Goes On is the story of a club that remains the beating heart of Liverpool’s iconic music scene and quite rightly takes its position on the world’s stage.